Morton Salt girl grows up. 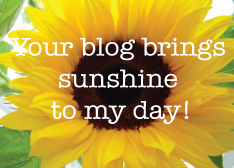 I haven’t posted anything on this blog in six months and I find I have 40 or 50 hits a day still. The world has been going to hell in a hand basket without my wisdom and guidance, too. So how are you people out there? Everyone still employed? Recently I downloaded a Firefox plugin called SEOQuake. The reason that I did so is because it can be configured to to show all no-follow links on a web page with a strike-through font. This is useful, or so I thought, in finding do-follow blogs to leave comments on. I learned from somebody’s how-to-blog blog, that I should go leave comments on do-follow blogs in order to build link-backs to mine and build Page Rank. Page Rank is, of course the holy grail of blogging. Page Rank is what puts your blog high in the search results on Google. The trouble is that Blogger, WordPress and Typepad, the three giants of blog software, all default to no-follow. Every blog that I look at has no-follow comments. Leaving comments, then, does not have the effect of building page rank through links from other blogs. It does help build community and may get you a spot on someone’s blogroll, eventually, which will, or should, be a do-follow link. Then I discovered that for self hosted WordPress blogs there are plugins which will undo the no-follow default. This evening I installed one, sem-dofollow from Semilogic, on my self-hosted blog, Clark’s Picks. When you leave a comment there, you get some Google juice from me now. Whoo! I won’t do that again. I learned something else, too. Most of my comments are from a few regulars and most of the blogs by people who commented here are still around, although some have not been posted on for a few weeks or months. The Googleplex seems to more stable that I would have believed. The 46th edition of the Carnival of Maryland has been posted at Pillage Idiot. There are quite a few posts by Republican bloggers who are wailing and gnashing their teeth. The consensus among them seems to be that Americans can’t be trusted to vote because we are uneducated and gullible. Calls for the return of the franchise only for white male property owners is evident. A blogg carnival is a blog post containing links to other blogs, which have some commonality. The Carnival of Maryland is (surprise!) 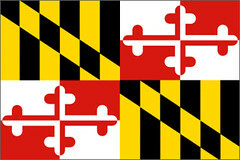 centered on the State of Maryland. I have two posts in this carnival, my post here about Frank Kratovil taking the safe Republican 1st district seat in Congress for the Democratic Party (wail, gnash) and one on Clark’s Picks about trombonist Edward “Kid” Ory. This week’s edition of the Book Review Blog Carnival has been published at The Symposium. There are 33 book reviews in this edition which range from children’s books to books on Constitutional law. Drop by and do a little light reading. If you submitted a post to the carnival in the last month and did not receive an email from me this morning, please email me at cbjorke at gmail dot com, so I can get you and your blog on the contributor list. I will be hosting edition #5 on November 23rd at I’ll Never Forget The Day I Read A Book! Please submit your book reviews at the usual location: http://blogcarnival.com/bc/cprof_5161.html.